Visiting gardens in Florence and around. 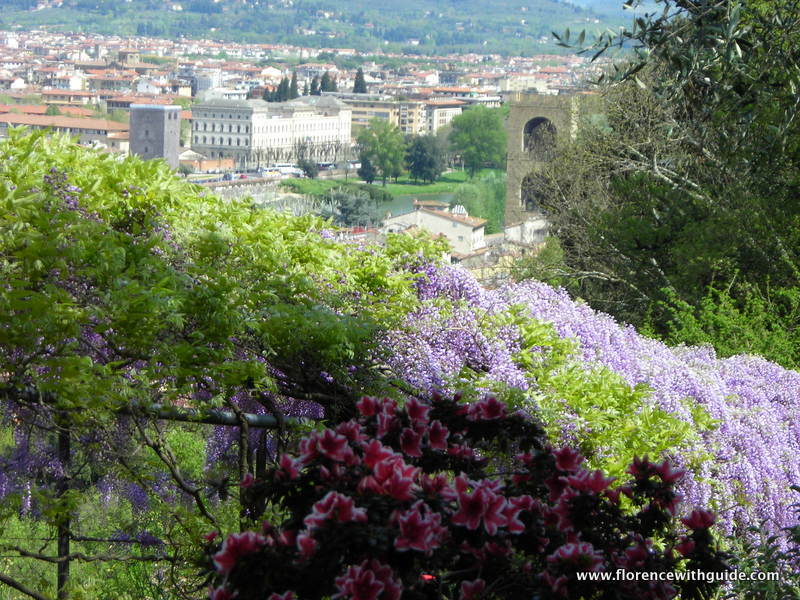 The Tuscan landscape has been charming travelers since the Middle Ages: the construction of villas, to enjoy views and sights, and of gardens, to experience the emotion of landscape in a smaller scale, has created in and around Florence a magical combination of art and nature. Hidden by walls or gates there are more private and secluded gardens and their variety and differences testify to how gardens have responded and transformed according to symbolic and social issues throughout the centuries: the elegant Corsini sul Prato is open for charity events several times during the year. Towards porta Romana the mysterious Giardino Torrigiani is a very rare example of a freemasons’ garden, full of symbols and wonderfully curated by the owners. The spectacular Giardino Bardini is less historical but thanks to an accurate restoration (took almost a decade!) 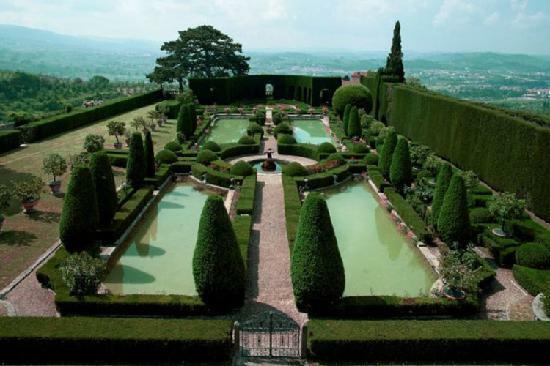 and to its stunning views is a must for garden lovers and garden architects and belongs to the network of Great Italian Gardens. 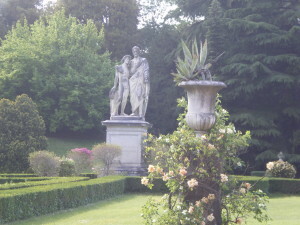 From the end of the XIX century the rediscovery of the formal gardens and the passion for life in the open air have contributed to the restoration and creation of more gardens, especially thanks to the many foreign residents on the hills: the Villa Medici in Fiesole, restored by Cecil Pinsent, was planned as a sort of challenge in the 15th century, and its system of terraces is still impressive. Not far Villa Le Balze was created for philosopher Charles Augustus Strong and is now beautyfully managed by Georgetown University. Above Fiesole Villa Peyron is a modern garden created as a retreat by Paolo Peyron, his love of art and music melt with the ancient legends of a “glowing fount”. Among the most celebrated gardens since the early 20th century you should not miss a visit to Villa Gamberaia, where garden architect Pietro Porcinai started his career. Home / Blog / Visiting gardens in Florence and around.